*$5 flat rate standard shipping per US domestic street address. Excludes any shipments containing individual wine bottles. Does not include sales tax. Cannot be combined with any other offers or with previous offers or discounts, including volume discounts. Hickory Farms reserves the right to cancel or modify offers at any time. Valid only on hickoryfarms.com. Not valid in stores or on partnership websites. Other restrictions may apply. The expected in-stock date is In Stock Date Not Found. Product contains milk, peanuts, wheat, soy, almonds, pecans, and cashews. Produced in a facility that also processes egg and other tree nuts (coconut, walnuts). This assortment offers a handpicked variety of Hickory Farms' freshest favorites. 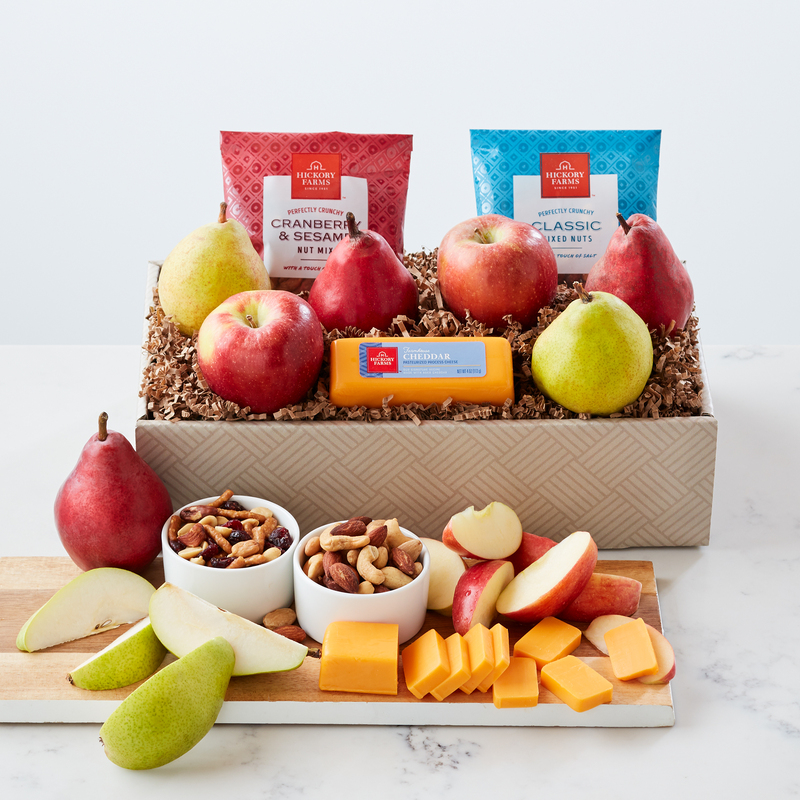 Included are Crown Comice Pears, an assortment apples, smooth and creamy Farmhouse Cheddar cheese, Cranberry & Sesame Nut Mix, and Classic Nut Mix. It has a perfect blend of crunchy nuts, fresh fruit, and cheese. There’s enough for the whole family to share!